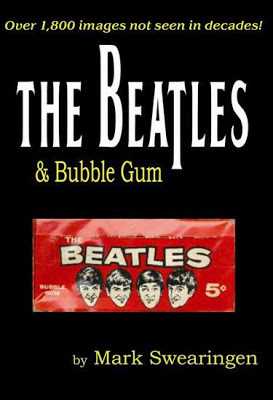 At long last, Mark "Mr Beatle card guy" Swearingen has made available this book for people enamoured by those good old Beatles bubblegum cards. Get a signed copy from his website or get a mint copy from Amazon . If you're keen to look at some cards right now, here's a page I created a long time ago: Collector's cards. Here's a video promo for The Beatles Remastered on vinyl. "I was 18 when I took it, and had bought the Super 8 camera specifically for the concert. Yoko was in the 11th row, just across the aisle from us, and seeing her take her seat confirmed the rumor Lennon would be there was for real. When Lennon came on stage, we were standing on our chairs, so the footage of him is fairly shaky, and maybe a minute in length, if that. And it was taken from the 12th row orchestra, so there were various heads I was shooting over while trying not to fall off my seat. I clearly remember my friend yelling at me "the floor is shaking" during the Lennon set." The footage was posted on YouTube by Mary Ann, but has since been removed. 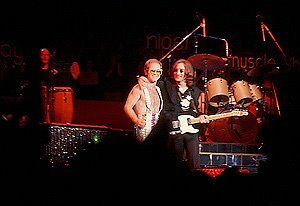 Now it has been worked on and improved by Elton John's people and can only be seen at the singer's Million Dollar Piano show at Caesars Palace during the performance of "Empty Garden (Hey hey Johnny)", which Elton and his songwriting partner Bernie Taupin wrote after Lennon's tragic death. 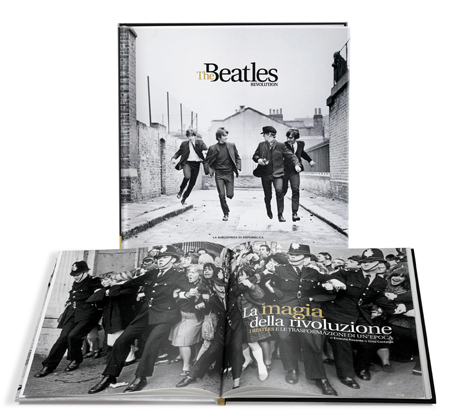 Italian newspaper La Repubblica has currently started distribution of the remastered Beatles CD collection with their paper. The CD's retail for 9.99 Euros each, and the double CD for 12.90. An exclusive cubic box to hold the set is also available. In an unforeseen future, the background became the interesting part of the photo. 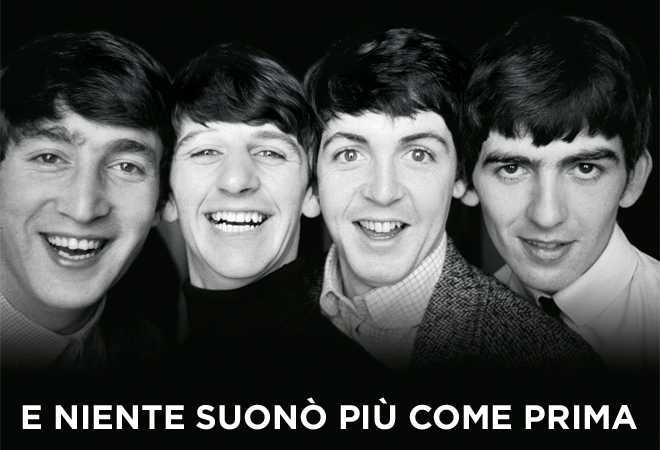 A new Beatles documentary premiered on Swedish television this weekend. "Becoming The Beatles", produced by Formative Productions in 2012, focused on the early days of the group, ending with the breakthrough in USA on the Ed Sullivan show. 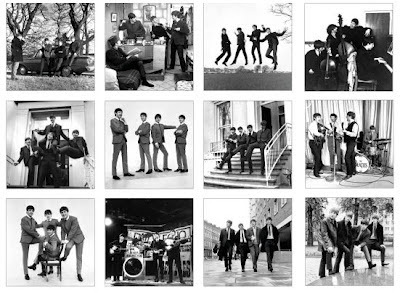 Among the talking heads were the two Tony B's (Bramwell and Barrow), Phil Collins, Steve Harley, Norman Smith, Colin Hanton, Sam Leach, Ken Dodd, Freda Kelly, Sylvie Vartan and those true veterans of Beatles documentaries, Allan Williams and Gerry Marsden. By chance I happened to watch that old 1981 documentary "The Compleat Beatles" today, and it was fun to see those two guys there in their much younger incarnations. 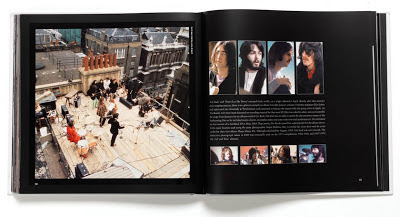 Independently made, "Becoming The Beatles" doesn't feature original Beatles studio recordings, although they snuck in some of that infamous Hamburg Star Club tape in the background. Leaning very much on old black and white still photos and some of Klaus Voorman's Hamburg Days paintings, the film was augmented by some interesting colour footage of Liverpool in the sixties and a couple of gems in the form of that earliest "Valentines Day" colour film (Leach says he remembers the guy who asked to shoot the footage) and colour home movie footage from Paris Olympia Theatre, January 1964. John Lennon also popped in now and again, speaking from an interview with French TV in the mid-seventies. The bulk of this material also appeared in a 2007 DVD from the same company, entitled "Rare and Unseen", so I guess this new documentary is more or less just recycling footage and interviews they already had. It's likely to be broadcast in your country too, just wait and see! For your pleasure, here's that Paris footage set to a soundtrack from those same concerts, something Formative Productions were unable to deliver. 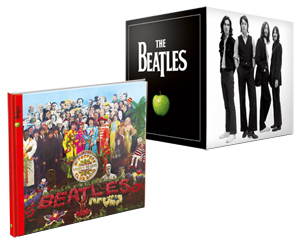 The Beatles vinyl remasters are at the time of writing this available from Amazon (US) for $341.99 & eligible for FREE Super Saver Shipping on orders over $25. In the UK, Amazon's current preorder price is £299.99 and also eligible for free delivery within the UK. Details page. Well, actually it's more fly-on-the wall while John Lennon is having a normal conversation. He speaks very fondly of the "Magical Mystery Tour" film, among other subjects. As is their custom (remember www.yellowsubmarine.com? ), The Beatles/Apple has launched a standalone website for their latest revived movie. You'll find it over at www.magicalmysterytour.com. We are curious, so we snooped around the internet a bit and looked up who owned various other domain names. Long story short: letitbethemovie.com turned out to be registered by none other than our own Apple Corps Ltd. Gives us hope, don't you think? There is a chapter on each of the albums. I've expanded the original notes a great deal. 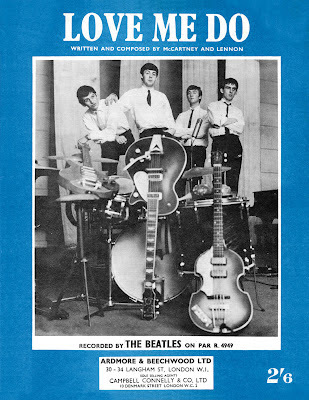 I've also written an Introduction, which includes quotes from interviewees featured in my 2009 radio series The Beatles: Here, There And Everywhere. There are also chapters about the remastering process and how the vinyl cuts were made. It's beautifully illustrated. So there you have it. Another reason to get the full boxed set. 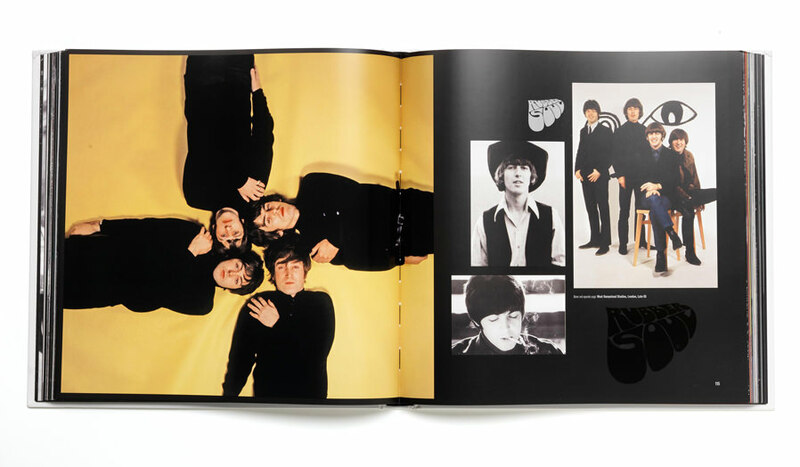 You can check out some more spreads from the book over at superdeluxeedition. 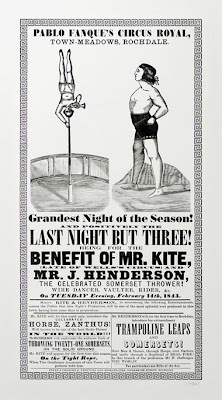 For years, I wanted to own a reproduction of the famed circus poster that John Lennon bought in an antiques shop in Sevenoaks, Kent, which gave him nearly all the lyrics to his song "Being For The Benefit of Mister Kite" on the "Sgt Pepper"-album. I have even been to Sevenoaks and poked around in their antiques shops to no avail, back in the nineties. I finally bought a reproduction of this poster in 2006, I found it for sale in the Hamburg museum while I was there for their "The Hamburg Sound - Beatles, Beat und Große Freiheit" exhibition. I had it framed and it's now up on my "Sgt Pepper" wall. Here's a photo of it from an exhibition I staged in 2009. 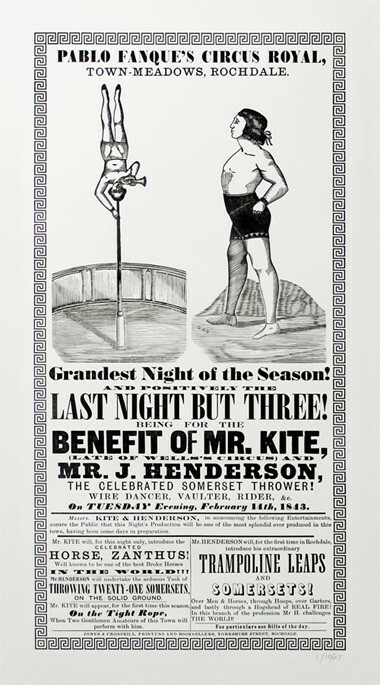 Now, Peter Dean was not satisfied with the quality of the reproduced posters, so he set about recreating it from scratch. He is now offering the public at large to get their own limited edition (1967 prints are available) print from this website. It's a marvellous work of art, but at the price they are charging, it looks like I'm going to have to stick with my cheapo edition. Yesterday was the debut of a new radio series on Swedish Radio P4. 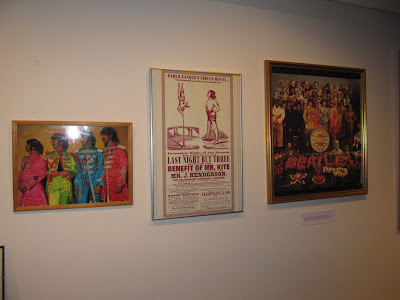 The veteran Beatles fan and collector Staffan Olander (who wrote sleeve notes for Ringo Starr's solo CD's and collaborated with George Martin on his retrospective boxed set) premiered a new gem: All My Loving from one of the four concerts The Beatles gave at Johanneshovs Isstadion on the 28th and 29th of July, 1964. And in smashing audio quality! You can listen to the entire programme (most of which is in Swedish, but also plentiful of music and Beatles related interviews) or this link will take you straight to the intro of All My Loving. Paul thanks the audience in Swedish ("Tack! Tack så mycket!") before launching the song. George Harrison's vocal mike is not audible, so you'll be able to hear Paul McCartney's harmony vocal unaccompanied the second time the verse comes around. At the start of the programme you can hear a telephone interview with Raymond Jones, the first customer to enquire about the "My Bonnie" single from NEMS. Back in 1963, four men in their twenties called The Beatles, who were making their way in the music business, paid a visit to Carlisle. They played a gig at the ABC – later renamed the Lonsdale – on Warwick Road on November 21. And one man in the crowd that evening made sure he would be able to remember the event. John Wilson, of Dalston Street, Denton Holme, went along with one of his trusted companions – his tape recorder. And his recording was played on the radio on October 5th as part of a special day of BBC broadcasting to mark the 50th anniversary of the release of Love Me Do. They played a portion of this on BBC Radio Cumbria at 5 October, just before 9am. Almost half a century on he still has the reel-to-reel product of his amateur session with the band. It features a version of Love Me Do, which came out 50 years ago yesterday. At that time the venue had 2,000 seats, all of which were sold out for the show, many to the group’s many female fans. This fact had a significant effect on the recording. This concert was the second time that the Fab Four had appeared in Carlisle. 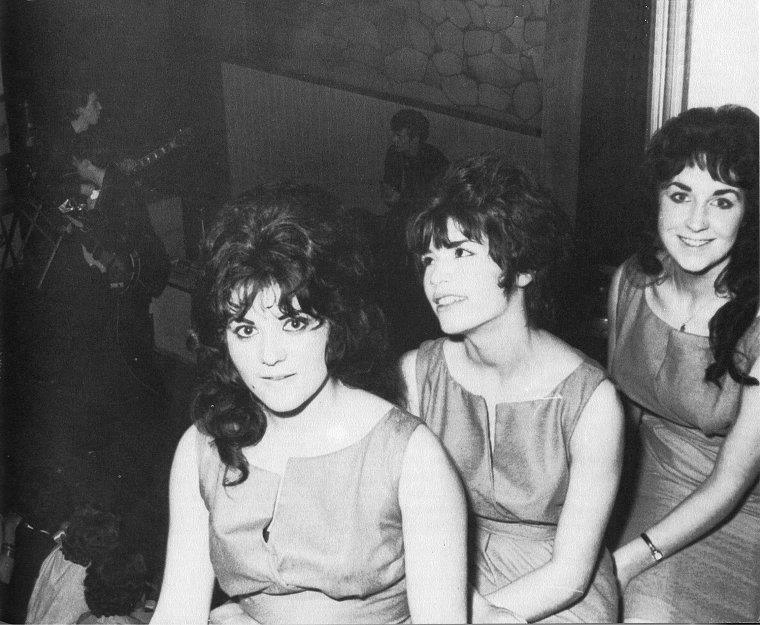 Previously they had played the ABC supporting then teenage star Helen Shapiro. On this occasion they were famously thrown out of the Crown and Mitre Hotel for their appearance. 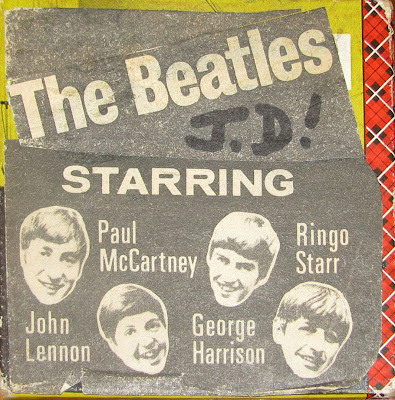 None of this seemed to deter John, 74, though who described himself as a “big fan” of the group. His favourite singles are Love Me Do and Hey Jude. John also has a very wide musical taste which ranges from The Beatles to country and western to classical. Andre Rieu is a current favourite. He was also passionate about making tape recordings and regularly took his machines out with him. His collection includes two tapes of concerts from another of the biggest names in British pop, Cliff Richard. And that's the story so far, as retold by Cumbrian newspaper, News & Star. Further investigations reveal that the concert date probably is wrong. 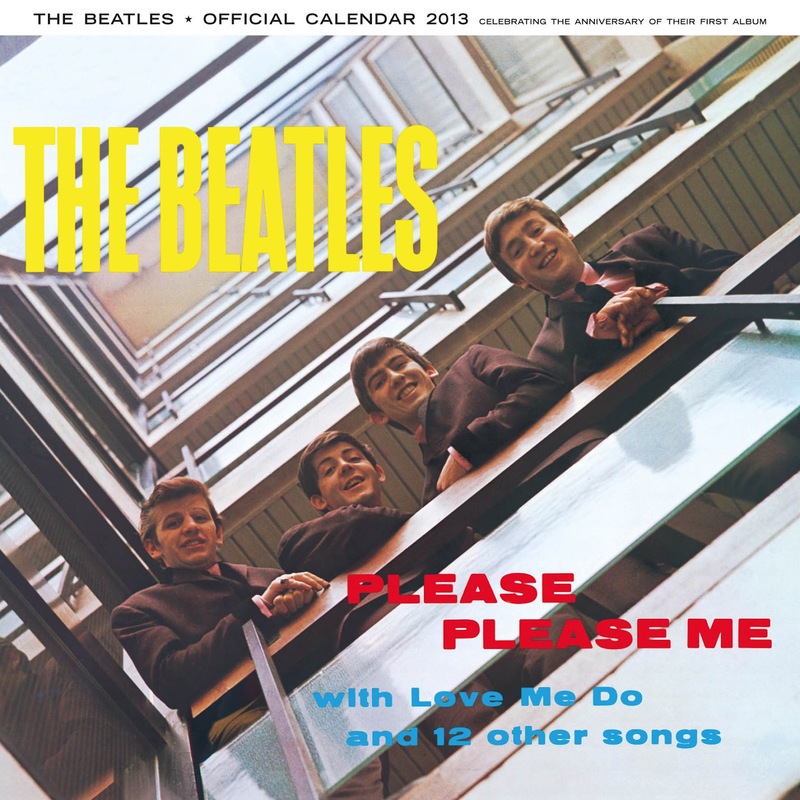 If "Love Me Do" was indeed played, this must be their first Carlisle gig on the 8 February 63 Shapiro concert, because the group had stopped playing "Love Me Do" by November. Anyway, it certainly is a remarkable story, and this is a tape we would very much like to hear in full. Having listened to bits of the broadcast, it's evident that the song in question is From Me To You and not Love Me Do, so they have their date right. Also in evidence is a lot of Beatlemania and The Beatles struggling to be heard. A lot of historical value but the music is barely audible. Yes, it was fifty years ago today! And as you can see from the sheet music (above), the composers started out as McCartney and Lennon. And soon after the release of the Love Me Do single, EMI went ahead and lost the master tape! Today is also the release date (at least here in Norway) of the new edition of "Magical Mystery Tour" TV-movie. And this brings us for the first time in a long while a previously unheard composition from these fine song writers. What a great birthday present! So, happy birthday, Love Me Do! Shirley's Wild Accordion is out! 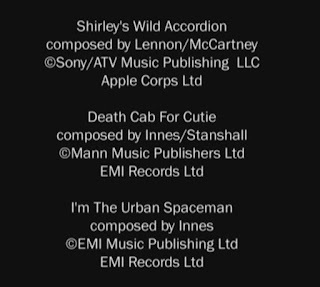 Shirley's Wild Accordion (Lennon - McCartney): Recording made 12 October 1967 by Shirley Evans, Reg Wale, Paul and Ringo for the "Magical Mystery Tour" film, but not used in it. 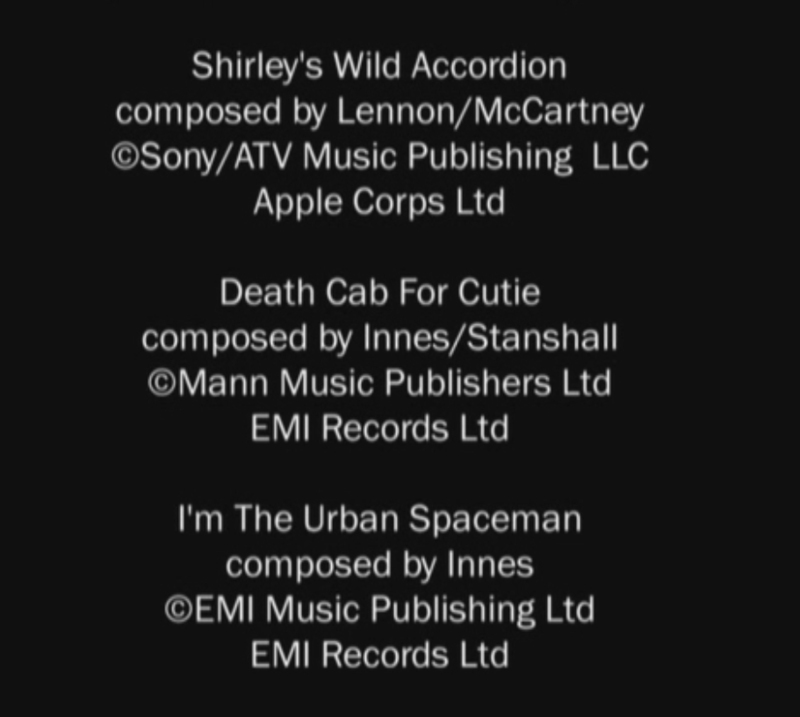 Shirley's Wild Accordion was a Lennon-McCartney composition, although it wasn't officially a Beatles recording. It featured Shirley Evans on accordion, accompanied by her musical partner and then husband Reg Wale on percussion. Paul McCartney played maracas and yelled "Go on, Shirl! ", while Ringo Starr played drums. 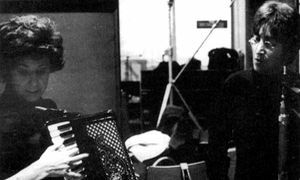 The track was recorded under the working title of Accordion (Wild), and was cut from the final edit of the film. It was recorded in eight basic takes, with Evans playing from a score written by Mike Leander from ideas by Lennon and McCartney. Two reduction mixes were then made, numbered nine and 10, followed by overdubs. The recording was completed with five additional takes, numbered takes 11-15. Three mono mixes Shirley's Wild Accordion were then made, numbered 1-3, from takes 10, 7 and 14 respectively. The second was subtitled Waltz, and the third was known as Freaky Rock. The session ended at 2am on the morning of 13 October 1967. 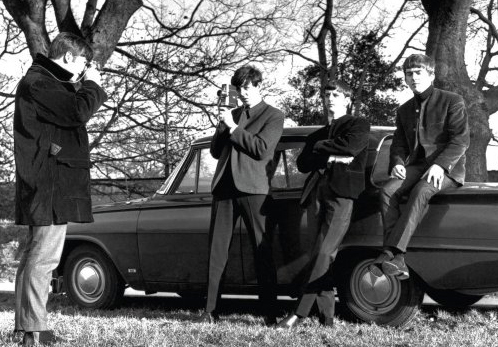 So to start January 2013 with the proud car owner Paul McCartney or something else, here are the links to the Beatles 2013 calendars USA and UK. 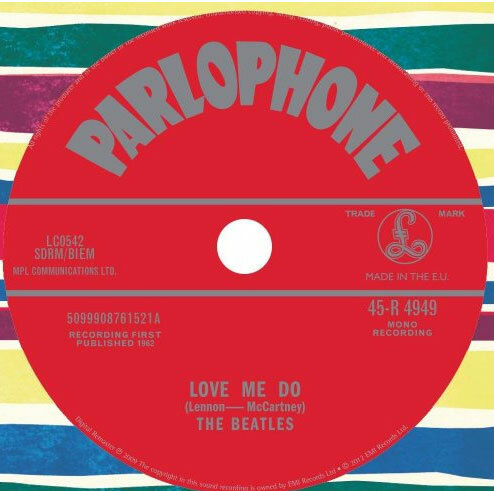 Word is that EMI have recalled all the stock of the 50th anniversary edition of the Love Me Do 7" vinyl single , because the version on the single is incorrect. Under strict instructions from Apple the stock is to be destroyed. 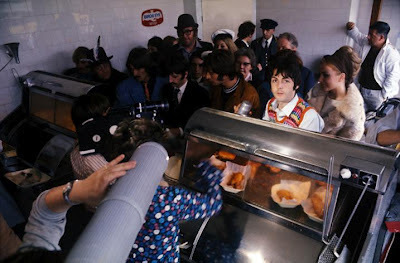 Smedley's chip shop, 15 September 1967. From the Kenwood blog: It's not every day that one's chippy gets a visit from the cast of Magical Mystery Tour; that much, at least, can safely be stated. The story goes that the proprietors, James and Amy Smedley, were actually the grand-parents of "little" Nicola Yale (or Hale, as she was known), familiar from the film. Mrs Smedley's niece was apparently in charge of recruiting extras, and thus the Smedley-Yale-Hales got embroiled. Only a small section of the footage made it into the final film (in the I Am The Walrus segment),but now behind-the-scenes shots have been compiled by makers of the new Arena documentary and was being shown online from yesterday. The group are seen piling into the chippy and standing at the stainless steel counter as they order their food along with the rest of their coach party, en route to Newquay, Cornwall. The scenes, which had ended up on the cutting room floor, were discovered as the Arena team worked on their programme which ties in with the newly remastered version of Magical Mystery Tour. Here's the clip, intercut with scenes from what the place looks like today.